No Excuses is a book about just that—making no excuses. If you want to be successful, then do it. If you want financial stability, then get it. If you want a happy marriage, then have it. Stop making excuses and start taking action so you can get what you want. 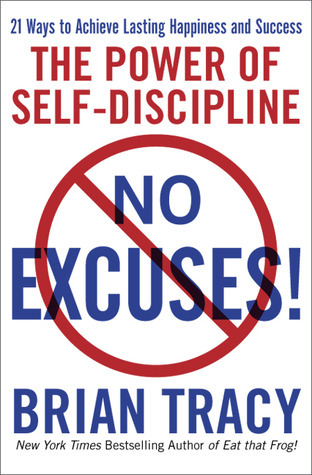 This book covers nearly every aspect of life, including professional success, financial success, money management, productivity, self-development, parenting, and more! We have compiled a list of actionable items from the knowledge and advice in this book so you can improve your life in every conceivable way. Try at least one of these actions and you will see significant positive changes in your life. Follow the rules of success. Understand what you have to do to achieve success. Put in the effort to achieve success. Follow the seven steps of the 1,000% formula. Develop your character by practicing the values you respect. Eliminate unnecessary expenses and focus on maximizing profits. Improve your sales by getting involved in the sales division of your business. Set financial goals to improve your finances. Practice the seven key health habits. Put in the effort to have a good marriage.